For today’s slot roundup, we thought we’d pit two popular slots with very similar titles directly against each other. 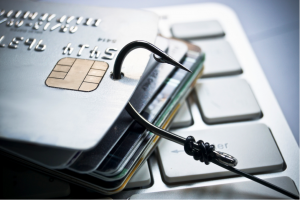 As anyone into online gaming will know, judging a book by its cover is never a good idea. Meaning that while Enchanted Meadow and Enchanted Prince at least sound like they are serving up the same, you’d be wise to expect big differences between the two. The question being – which of these enchanted slots ticks the right boxes with your own personal preferences and pocket? First up today, it’s comparatively rare to come across anything from Play ‘n’ Go that isn’t genuinely impressive. 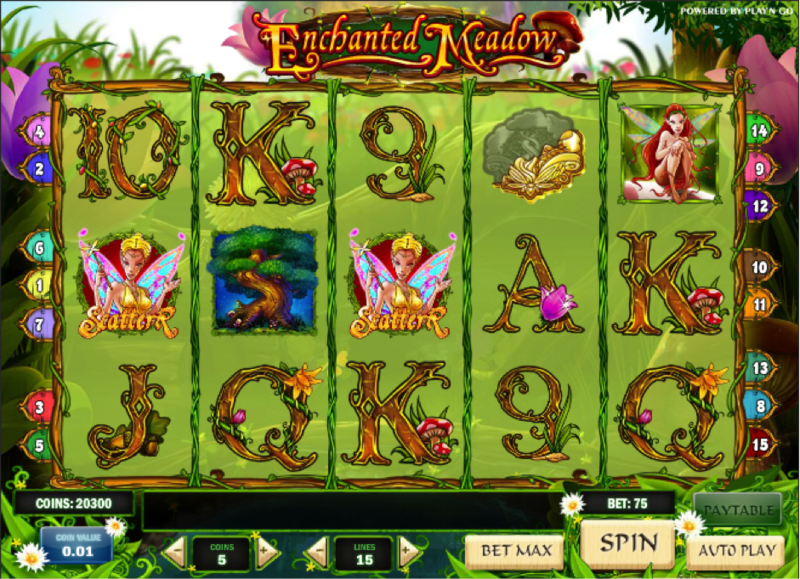 In the case of Enchanted Meadow, it’s the usual tale of a five-reel setup with a total of 15 paylines to play with, as the story plays out in a cute and quirky fantasy setting populated by animals, fairies, twittering birds and so on. The one thing you can’t help but note immediately upon getting started with Enchanted Meadow is just how tranquil and relaxing it all is. 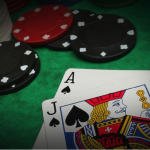 Spins start out at just 15p and there are a couple of interesting bonuses to play for. The most lucrative symbol during normal play is the oak tree, which is worth an impressive 2,500 coins if you manage to line up five in a row. The oak tree is also the wild symbol and can therefore be used in place of any other symbol in the game, aside from the bonus and scatter symbols. Even better, land an oak tree wild on the middle reel and it will expand to fill the entire reel. The bonus symbol takes the form of the purple tulip – three of which will transport you directly over to the Hide and Seek Bonus feature. 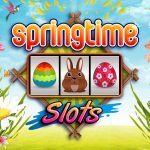 Your job here will be to try and find the hidden fairies – each when you successfully uncover rewarding you with cash prizes or free spins. The round continues until you find a wasp, after which you’ll get to play with all the free spins you stacked up and benefit from a multiplier of 2X on all wins. 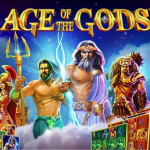 Better yet, you can continue re-triggering the bonus game multiple times, up to a maximum of 50 free spins and a multiplier of 5X on all wins. 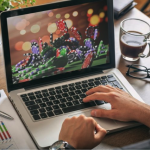 If you’re looking for the kind of low-variance game that perfectly balances the simplicity with the promise of frequent payouts and practically no dry spells whatsoever, there is a good chance you will be right at home with Enchanted Meadow. 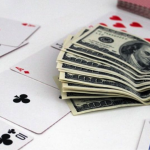 This is definitely not the kind of slot where you can expect big wins on a regular basis, but this is more than made up for by the frequency of smaller payouts and how easy it is to get busy with those bonus rounds. Absolutely great for a few casual spins here and there and highly recommended. Likewise following something of a fairy tale theme, Eyecon launched Enchanted Prince some time ago to relatively animated fanfare. 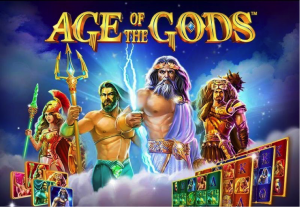 As is typical for this particular developer, it’s the same five-reel setup with 25 paylines to play for, with spins starting from just 25p and going up to a maximum of £12.50. With a tasty bonus round and wilds that increase wins 2X, it’s the recipe you’ve come to know and love from Eyecon. 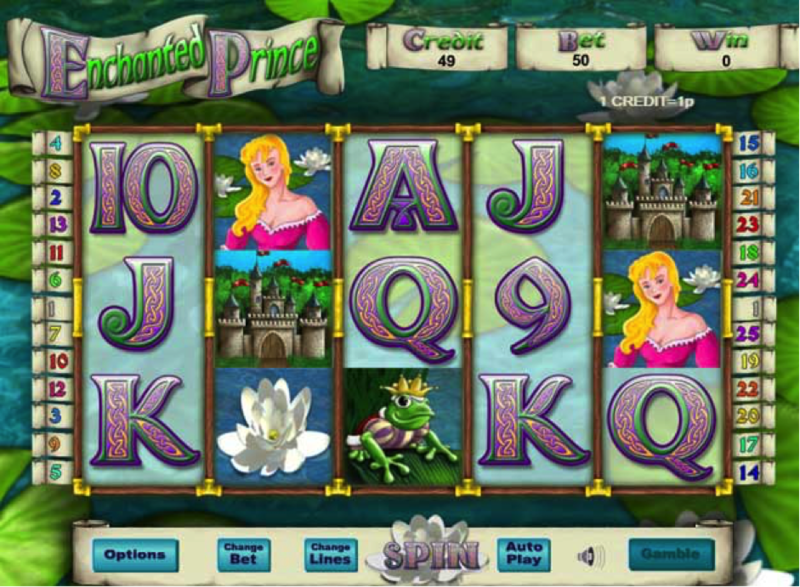 Once again, Enchanted Prince isn’t the kind of slot that’s going to win any awards for beauty or technical prowess. There’s a pretty pond in the background and a set of Celtic-style symbols, which include white flowers, lily pads and all the usual playing card values. The castle is a particularly lucrative symbol during normal play and pays out a full 1800 coins, if you’re lucky enough to line up five in a row. 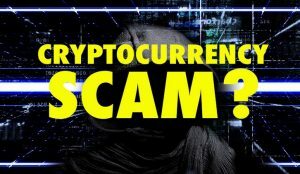 However, if luck is really on your side and you land a sequence containing two or more blonde-haired princess symbols, you could be looking at a prize worth anything from 10 to 2,400 coins. The wild symbol takes the form of a crown and can replace any symbol in the game with the exception of the frog scatter. As is typical with slots from Eyecon, any winning combinations that feature a wild symbol are subject to an instant multiplier of 2X. 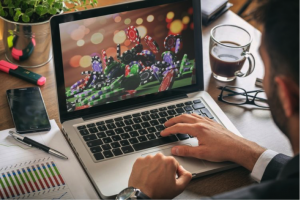 The free spins bonus feature can be accessed by landing at least three frog scatter symbols in any positions on the reels. 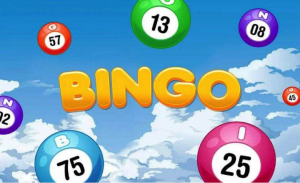 Depending on the number of scatters you land, you will be handed 15, 20 or 25 free spins to play with. This is sweetened even further by an instant cash payout worth 5X, 10X or 50X your total line bet. 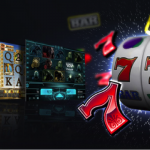 The same 2X multiplier when wilds form part of the winning payline also applies during the free spins bonus round. Better yet, it’s possible to continue re-triggering the free spins PG up to a maximum of 400. On the whole, Enchanted Prince delivers exactly what you’d expect and very little more. As is the case with most slots from Eyecon, those 2X wild multipliers that apply during the base game and the free spins bonus round alike really do make a big difference. That said, Enchanted Prince only has one genuine bonus round to play for and therefore doesn’t necessarily have the same kind of depth as some of its rivals. Still, it’s more than worth checking out for a few casual spins at least and should prove entertaining for most preferences and pockets, coming in at on the lower—medium end of the variance scale.